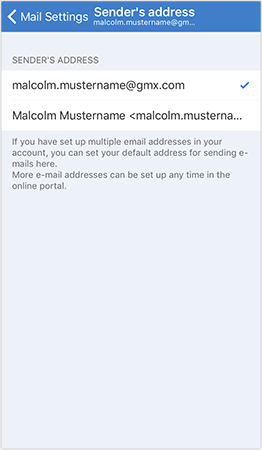 Aliases are alternative email addresses to be used as sender addresses for outgoing email. No sender name, email only. E.g. john.doe@gmx.com. Name and email, e.g. John Doe john.doe@gmx.com.